Robert Bickett of Kilmarnock, Ayr. Scotland, born 1652, marriaed Joan Gannley. Robert Bickett, was born October, 28, 1688, in Kilmarnock, Ayr. Scotland, son of Robert Bickett, and Joan Gunnley, married Mary Crielman of Kilmarnock Ary. On September 6th 1736 at the Presbyterian Parish of Kilmarnock Ayr. Mary Crielman, was born June 29th, 1714 in Kilmarnock Ayr. Daughter of John Crielman and Agnes Ferguson, Mary Crielman died October 20th 1761 at Kilmarnock Ayr. Agnes Bickett born January 31st, 1739 Kilmarnock Ayr. Mary Bickett born February 7th, 1748, Kilmarnock, Ayr, married William Wallace, minister of Presbyterian parish of Kilmarnock Ayr, Scotland. 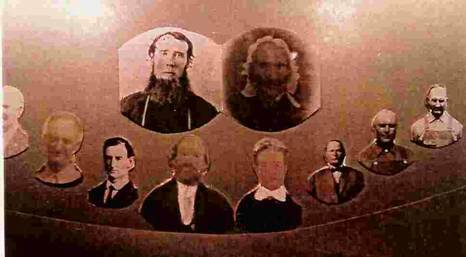 William Bickett and two brothers came to America. William’s parents and grandparents lived and died in Kilmarnock Ayr, Scotland. William Bickett was a native of Scotland, born December 2nd, 1742 in Kilmarnock Ayr. Scotland, the son of Robert Bickett, a bonnet maker, and Mary Crielman. He was baptized December 5th, 1742 in the Presbyterian Church of Scotland. William died 82 years later on February 23rd, 1824 in what is now Marion County, Kentucky. He was an American Patriot during the Revolutionary war and a Kentucky Pioneer. William left England and came to America in 1773. He sailed from Liverpool, England as a bond servant to James Starr and assigns and arrived at Philadelphia, PA on April 30th 1773. In 1776 William was living in Fredrick County, Maryland where he served as Justice of the Peace during 1777 and 1778. William took the Oath of Allegiance to the United States on March 21st 1778. He served in the Maryland Militia as a soldier of the 50th Regiment of Maryland during the War of Independence. William was discharged from the Maryland militia on May 5th, 1796. William Bickett left Maryland in 1792 for the new land in Kentucky. He arrived at the Catholic Settlement of Raywick on the Rolling fork River in 1798 and built a log house on 160 acres of land he acquired. He traveled through the Cumberland gap along the wilderness trail to Nelson county, Kentucky and from there to Washington County KY. William lived in Raywick for 26 years until his death in 1824. 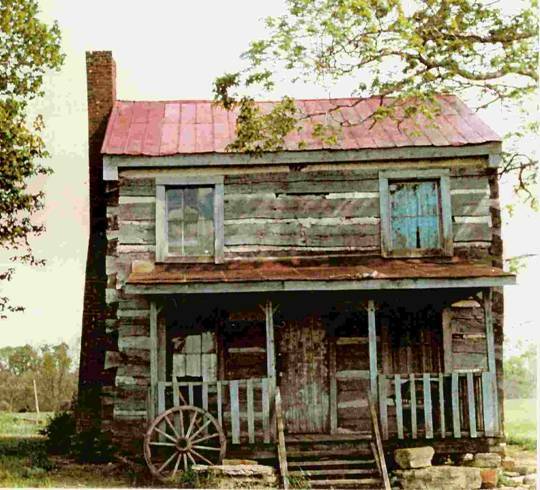 The log home which he built still stands at this writing and is preserved by the William Bickett descendants of Marion County KY.
William Bickett married Jane Hart, an Irish Catholic and converted to the Catholic faith. Information from the bible and other records state that William was disinherited by father and came to America. Little is known of Jane Hart’s family. 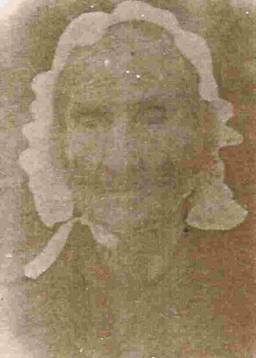 She was born in 1755 in Northern Ireland, came to America with William and was the mother of 7 sons and 2 daughters. She died in Washington County, KY sometime between 1820 and 1830. Both William and Jane are buried in St. Charles Cemetery in St. Mary, KY.
William Bickett died without a will. His land had been divided among his sons before his death, except for the 160 acres along the Rolling Fork River. This land, and his property was sold by the court of Washington County, KY. It was to the benefit of all the heirs that the land be sold, and the money from the sale be divided among the heirs. Samuel Bickett, son of William Bickett bought the land along the Rolling Fork River for $355, and included the house and all buildings. This land stayed in the Samuel Bickett line from 1830 to sometime in early 1900 when it was sold by the heirs of James Henry Bickett, son of Samuel Bickett. Anthony Bickett was appointed by the court to look after the interests of Adain Bickett, grandson of William Bickett and son of James Bickett, deceased son of William. Anthony Bickett also had rights by the court to use the land of William for a fee until the estate was settled. Seven of William and Jane’s children were born in Maryland, the two youngest being born in KY. Nathaniel was born in the wilderness on the way to Washington County, KY. William Arnold was born on Christmas day 1800 in Raywick, KY.
Children of William and Jane Bickett. Samuel Lawrence Bickett son of William and Jane Hart Bickett was born in Fredrick County, Maryland in 1790. He came to Kentucky with his father’s family in 1797. Samuel married Mary Livers in Washington County, KY on November 27th, 1818. Mary Livers was born in Fredrick county Maryland, in 1788, the daughter of Thomas Livers and Judith Elder. The Livers family left Maryland in 1797 with a party of about eighty persons including the Bickett family. 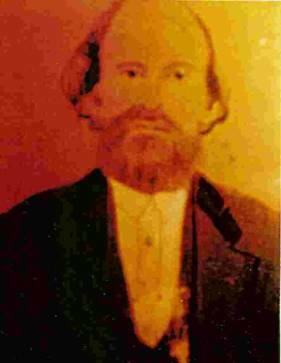 Thomas Livers and the William Bickett family settled in the Rolling Fork River settlement. Farming was Samuel’s occupation. In 1830, he purchased the William Bickett farm from the heirs, 106 acres for $355. He also purchased other land and his farm consisted of about three hundred acres. Samuel died in 1855 in Marion County KY. Mary Livers died in 1858. Samuel and his family were member of the St. Francis Xavier Church of Raywick. Both Samuel and Mary are buried in the Church cemetery. Samuel and Mary had 6 children born in Marion County, KY.
James Henry Bickett son of Samuel L. Bickett and Mary Polly Livers was born in Washington County, KY on July 6th, 1822, now Marion County. He was born in the same home which his grandfather, William Bickett built a quarter century earlier. James Henry inherited this home and the land from his father, Samuel L. Bickett and farmed until his death on November 17th, 1889. He was married twice the father of 15 children born in Marion County, KY. His first marriage was in 1844 at the St. Francis Xavier Church in Raywick, KY to Mary Ann Miles. She was born in 1824, and died in 1870. James Henry married Julia Ann Whitfield on November 28th, 1871 at the St. Francis Xavier Church in Raywick, KY. Julia Ann was born December 16th, 1848 one and a half miles from the town of Raywick. She was the daughter of Charles William Whitfield and Cecllia Ann Lyons. Charles William Whitfield was born in Washington County, KY on August 15th, 1810. one of three children of Bernard (Barnabus) Whitfield, and Eleanor Ann Constable. Bernard and Eleanor were married February 19th, 1803 in Washington County, KY. Bernard Whitfield was born in Virginia and died in 1822 in Washington County, KY. He came to Kentucky in 1795. Cecelia Ann Lyons was born in Maryland on October 12th 1812, daughter of Augustine (Gusty) Lyons and Sarah Ann Mattingly. Augustine Lyons was born in Maryland in 1789, and died in Marion County, near Raywick in 1854. Sarah Ann died in 1844. Cecelia Ann came to Kentucky in 1817 with her parents and a brother. She was 5 years of age and rode the distance from Maryland to Kentucky on horseback behind her mother. Augustine Lyons was a carpenter in Marion County. Charles William Whitfield and Cecelia Ann Lyons were married in Washington County, KY on November 26th 1833. He was a farmer in Marion County. He died February 26th, 1884. And Cecelia Ann died February 6th, 1883. Both are buried at St. Francis Xavier cemetery, Raywick, KY.
Julie Ann Whitfield was married twice. After the death of James Henry Bickett in 1889, she was married to Clement Benedict Hill on July 11th, 1892. Julia Ann and Clement had a daughter, Jane Frances Hill, born 1894 and died in 1979. Julia Ann Whitfield died July 31st, 1918 in Raywick, near her place of birth. She is buried in St. Francis Xavier Cemetery. The old Bickett homestead was sold to William Bickett descendants in 1900 and still remains in the Bickett line, kept in good condition by the Bickett Owners. 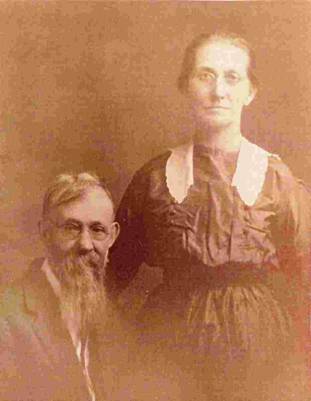 Children of James Henry and Mary Ann Miles Bickett. Jesse Bernard Bickett, born May 13th, 1889. John Philip Bickett, son of James Henry Bickett and Mary Ann Miles was born in Marion County, KY on January 20th, 1849 and died in Roseville, Hancock County, KY. 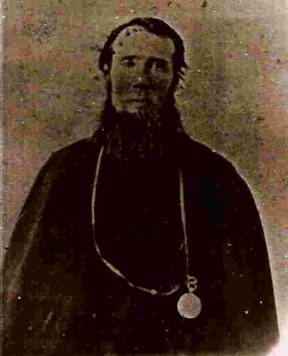 In 1870, he moved to Daviess County, KY with his brother, Samuel Bickett and later moved to Hancock County to farm. John Married Mary Elizabeth Payne on August 6th, 1878 in Owensboro, KY. Mary Elizabeth was born in Daviess County on November 5th, 1863, daughter of Charles Louis Payne and Rachel Priscilla Beavan. John and Elizabeth were catholic and members of St. Thomas Church in Roseville. John died October 21st, 1941, and Mary Elizabeth died August 14th, 1940. Both are buried at St. Thomas Cemetery in Roseville, KY.
Mary Josephine Bickett, born November 4th, 1883. Frances Roberta Bickett, born 1884, died 1884 at age 6 months. Rachel Priscilla Bickett, born 1885, died at age 6 weeks. William Bickett, born 1906, died at birth twin to Edward. Arnold Leo Bickett son of John Philip Bickett and Mary Elizabeth Payne was born April 3rd, 1894, in Daviess County, KY and died December 15th, 1986 in Crofton, NE, Arnold Leo married Catherine Kribell May 8th, 1928 at Beresford, SD. Catherine Died in 1984 in Crofton, NE.